Two teachers share their successful lessons for teaching kids to write strong paragraphs. Includes lessons on paragraph organization, notetaking and outlining, signal words, parallel construction, and more. 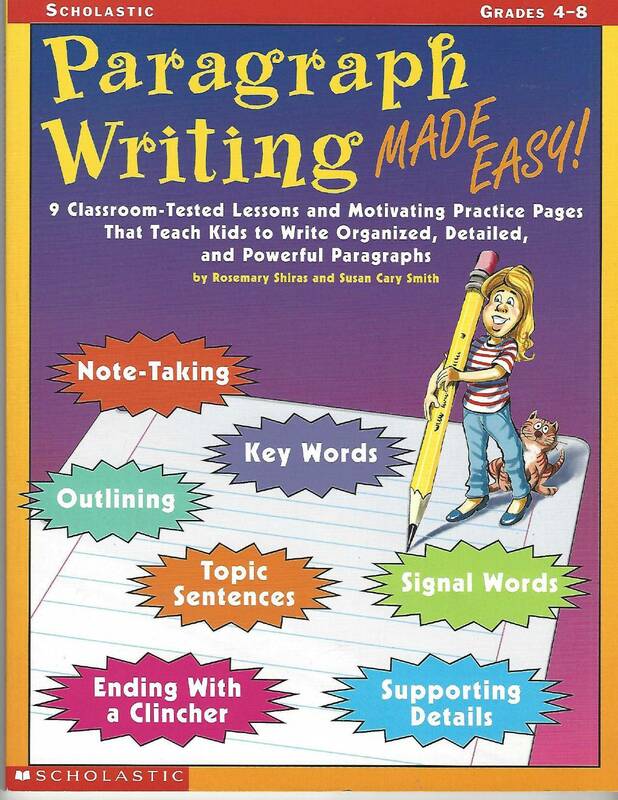 A straight-forward, easy way to teach paragraph writing that really works! For use with Grades 4-8.